Blog How Much Water Do Cacti Need? When most people think about how much water cacti need, they probably envision a bare, dry and hot landscape where water is at a premium. Although this might be true for many types, it’s not true for all. Growing cacti as houseplants removes them from their natural environment and places them in one where you are responsible for their wellbeing. How much water do cacti need? Most cacti should be watered once the growing medium has dried out, regardless of how long this takes. 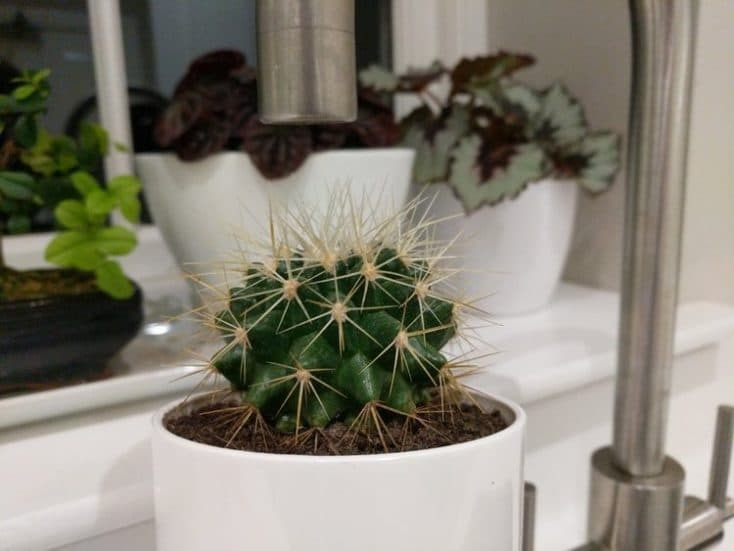 You should thoroughly water the cactus, until water drains from the bottom of the pot. This will give the roots plenty of access to water for a short period of time, which mimics their natural environment. Are All Cacti Native To Desert Environments? What would an American western be without panoramic views of dry, dusty deserts where cacti are king? However, and although it’s the environment most people think all cacti thrive in, there are two different groups of cacti – arid cacti and jungle cacti. Although both types are members of the cactus family, Cactaceae, they differ in appearance, growth habits and care needs, including water. Arid types of cacti are the ones that thrive in desert climates and telling them apart from jungle varieties is relatively easy. Unlike jungle types, most arid varieties are covered in their characteristic thorny spines and although many produce eye-catching blooms, they are primarily grown for their uniqueness in shapes, textures and colors. Golden Barrel Cactus (Echinocactus grusonii): This is a great cactus for beginner growers. As its name suggests, the cactus has a barrel shape, upright habit, is green and covered in a mass of dense golden-yellow spines and the blooms are golden. Prickly Pear Cacti (Opuntia species): These are another easy-to-grow type, forming into low-growing mats with most developing big oval pads that are green and flat and produce attractive blooms. Prickly pears develop pear-shaped fruits that are colorful as well as edible. Wear gloves when handling these because they are covered in a mass of tiny bristles. Column Cactus (Cereus uruguayanus): Your search is over if you’re looking for a cactus that forms into a tall-growing houseplant, growing anywhere from 3 to 6 feet tall indoors. They are bluish-green, smooth and covered in brownish spines. Their white flowers open at night, with the petal tips dusted in various colors. How To Water Arid Cacti? Properly watering your arid cacti is the most crucial step in assuring your cactus is healthy and happy. During the growing season of March through September, the cactus produces the most growth and therefore requires more frequent water applications than during winter when it’s dormant. Allow the soil to dry between water applications,during the growing season, and water until it begins to run from the bottom drain holes. In winter, allow the soil to become much drier between water applications, applying water every several weeks. If your cactus starts to shrivel, it needs water. Expert Tip: Don’t allow the cactus to sit in standing water or rot occurs. If the base of your cactus starts turning soft and mushy,it’s been overwatered. What Kind Of Soil Do Desert Cacti Need? No matter how well you pay attention to watering your arid cacti, if the soil is too heavy and retains too much moisture, you’ll end up with problems and might even lose your cactus to rot. Although the cactus puts on the best growth grown in a rich soil, the soil must be well-drained and not have a tendency to become too soggy. Therefore, using a standard potting soil will end up being too heavy for cactus growing. You can plant your arid cactus in a cactus soil blend, found at your local garden center, or make your own potting mix. Making your own cactus soil is as easy as blending equal parts of a peat-based soil and a coarse sand or grit together. How Do I Water After Repotting An Arid Cactus? Don’t stress if your cactus is pot bound, as they actually like it and if repotting is needed, do it during the growing season in April and only repot in a container that’s slightly bigger than the one at present. Using too big of a container assures the soil stays too wet and leads to rot. Only water the repotted cactus several days to a week after repotting. Can I Fertilize Arid Cacti When I’m Watering? Use a water-soluble, liquid fertilizer that’s low in nitrogen like a 5-10-5 used monthly and added to your watering schedule. Use during the active growing season in summer and ceasing in September. You can also use a yearly application of a time-released blend sprinkled over the soil in spring. Welcome to the jungle and an entirely different preferred environment for these cacti compared to their arid cousins. Jungle types are popular during the holidays as gift cacti and you commonly find Easter, Thanksgiving, also called Holiday cactus, and Christmas cacti at your local florist or garden center as these holidays approach. Jungle cacti differ in appearance from arid types by having flattened stems resembling leaves, don’t have spines or thorns, and are chiefly grown for their elaborate display of eye-catching flowers that bloom around the specific holiday. In addition and another difference compared to arid cacti, jungle types are epiphytes and in their native environment grow in the top canopies of trees. They also prefer shadier conditions than arid cacti. Orchid Cactus (Epiphyllum spp. ): This cactus performs well in hanging baskets producing long,strap-shaped, fleshy stems that can grow 3 feet long. 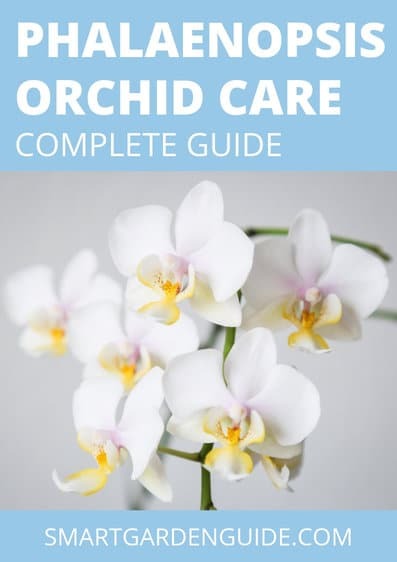 They produce striking and often sweetly scented, funnel-shaped flowers in an array of different colors that can grow up 6 inches in diameter. Flowers open in the evening hours and occur on 2-year-old plants that are rootbound. Easter Cactus (Rhipsalidopsis spp. ): Easter cactus produce green, flat succulent stems forming into a robust plant. They produce attractive, star-shaped flowers in a host of colors, with blooms opening in the evening. The cacti start blooming in early spring, with the flowering continuing for several months. Thanksgiving & Christmas Cacti (Schlumbergera truncata & Schlumbergera x bridgesii): Both of these cacti bloom anytime around November through December,producing star-shaped blooms in an array of colors. Plants must be at least 1-year-old to start flowering. The stems on Thanksgiving cacti are green with toothed edges. Whereas, the stems on Christmas cacti are smaller and the edges smooth. What Are The Water And Humidity Needs Of Jungle Cacti? In their natural environment, a jungle rain forest, conditions are humid, so therefore, jungle cacti require a humid environment to put on their best growth. Although they perform best given 50 percent humidity, they will tolerate a bit less, provided you meet their other needs. It’s easy to create humidity by misting the cacti with water several times weekly. Unlike arid cacti, the soil to jungle types should never become completely dry, especially while they are actively growing during spring and summer. Feel the soil with your finger and if it is starting to dry, apply water until it runs from the bottom of the container. During winter, when the cacti are dormant, reduce watering to once weekly. Expert Tip: Although jungle cacti require more water than their arid cousins do, never let them reside in waterlogged conditions or rot will occur. What Type Of Soil Do Jungle Cacti Need? Jungle cacti prefer a richer soil medium than arid types, although it still should drain well and not have a tendency to remain soggy. They will perform well in a rich, well-drained potting mix. Don’t use potting soil as it’s too heavy and retains too much water. You can also make your own mix by using equal parts of a peat-based mix, potting mix, and coarse sand. The biggest thing to remember is making sure your soil mix drains well to prevent rotting due to too wet conditions. Does Repotting A Jungle Cactus Differ From An Arid Cactus? Follow the same procedures as when repotting an arid cactus: wait until it has outgrown its present container and repot in only one slightly larger, handle with care so you don’t break the fleshy stems, and wait a couple of days to a week after repotting to water. The basic difference is the jungle types like a bit richer soil. Can I Apply Fertilizer To Jungle Cacti While Watering? Fertilizing is as easy as adding a well-balanced, water-soluble liquid fertilizer to your watering schedule once each month. Stop fertilizing Thanksgiving and Christmas cactus in September, and you can fertilize Easter cactus year-round and cease while it’s blooming.